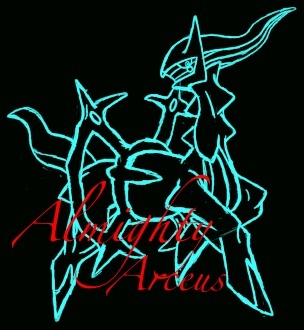 AlmightyArceus began remixing in January, 2010. Previously, Arceus had listened to the works of artists such as PokeRemixStudio and LightUmbreon and was thus inspired to remix songs from the Pokemon video game series. Once he was able to figure out how to manually enter notes into the Garageband music editor, he was off! Since that first release in January of 2010, Arceus has not failed to provide some of the most awesome remixes of YouTube! What is even more impressive is that he does not EVER use MIDIs when remixing a song; he creates it entirely by ear. He also adds extremely awesome sounding solos to the songs he creates. Over the course of a year, Arceus built up both subscribers and great friends over YouTube. He joined OCRemix in May of 2010, and has posted many of his remixes up there for review. He also made friends with amazing users such as TheGuitarHeroe, LugiaDialga, lala19357, SuperiorLarxene, pokemoneinstein, hnturs12, Sonicwave1000, etc, and together they forged a strong Pokemon remixing community which converged in the Pokemon Zone Forum. Today, Arceus still remixes frequently. He is currently a user of Garageband 2011, and still does not use MIDIs in the process of creating his remixes. He is a moderator on Pokemon Zone Forums and an aspiring to become an OCRemix artist. He has also released a variety of OC's and soundfont compositions as well.